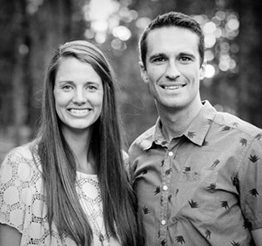 These two love the outdoors, so much in fact, their honeymoon isn’t cocktails on the beach, but three weeks of hiking the Annapurna Circuit in Nepal. 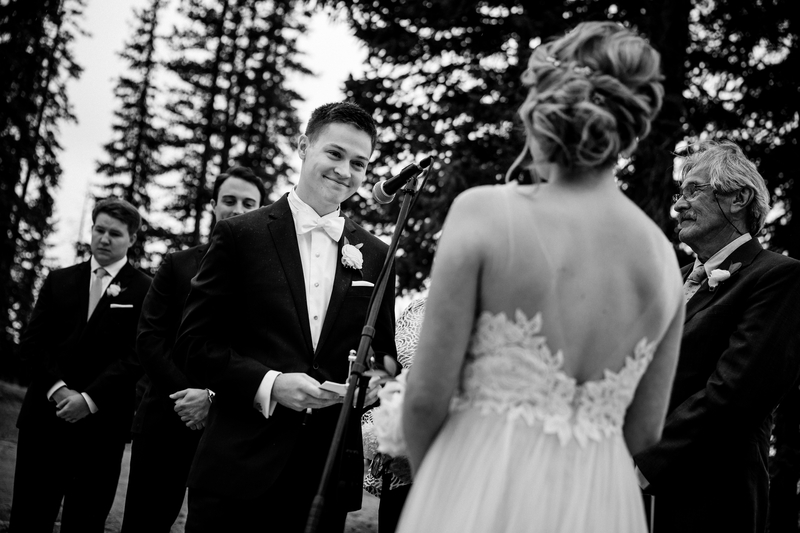 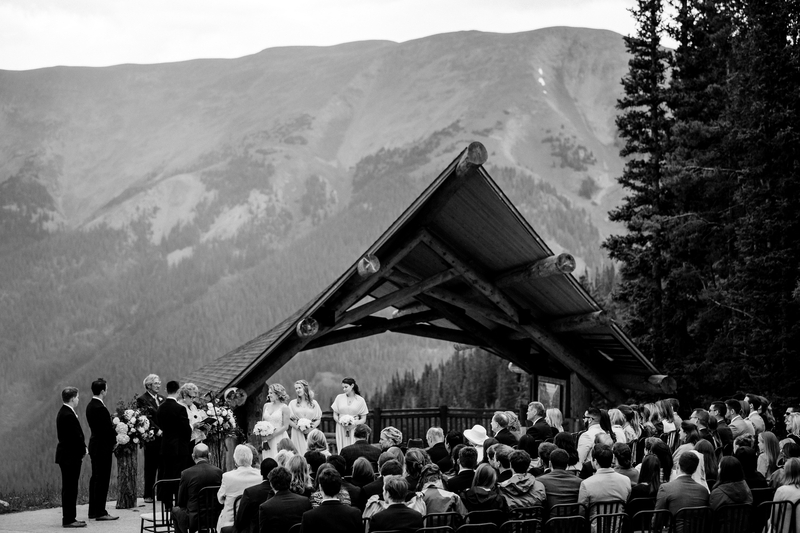 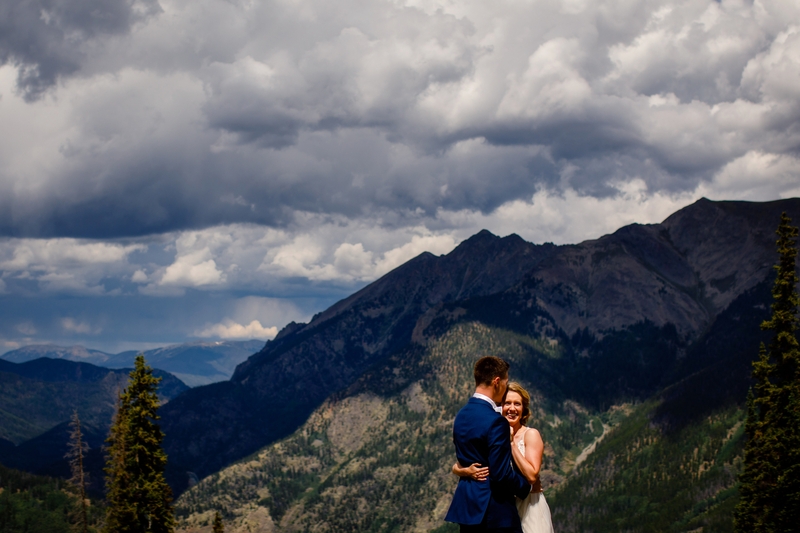 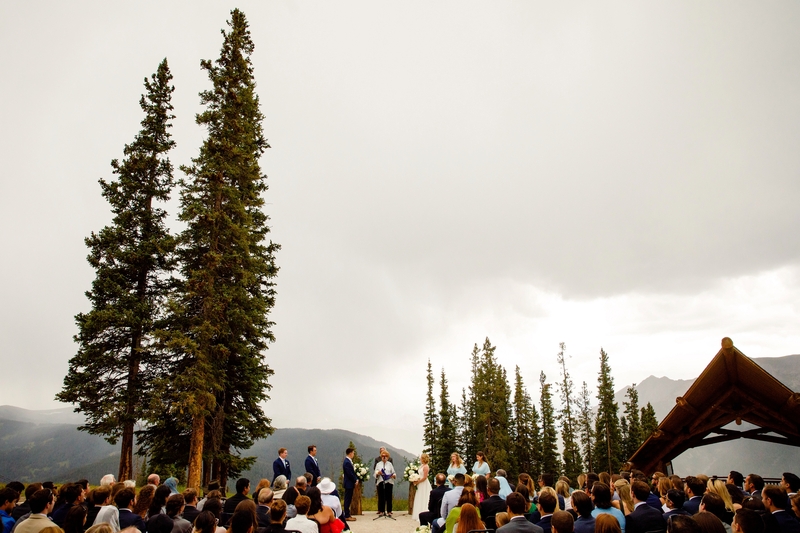 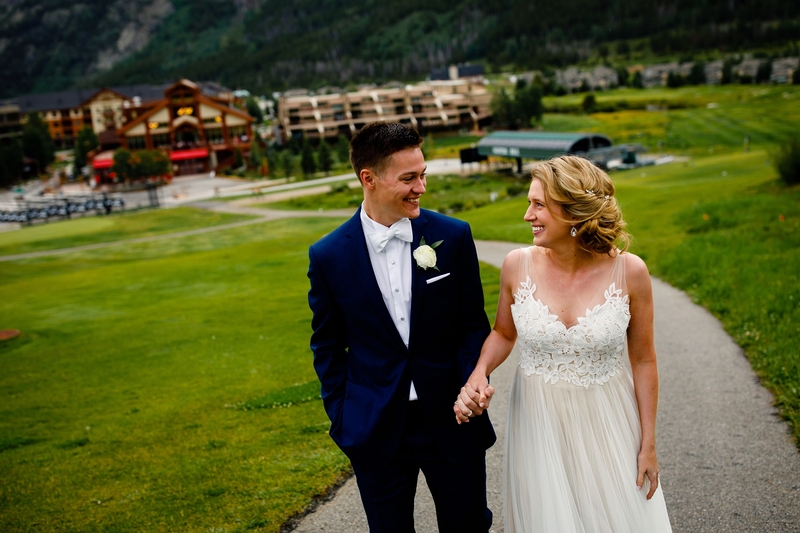 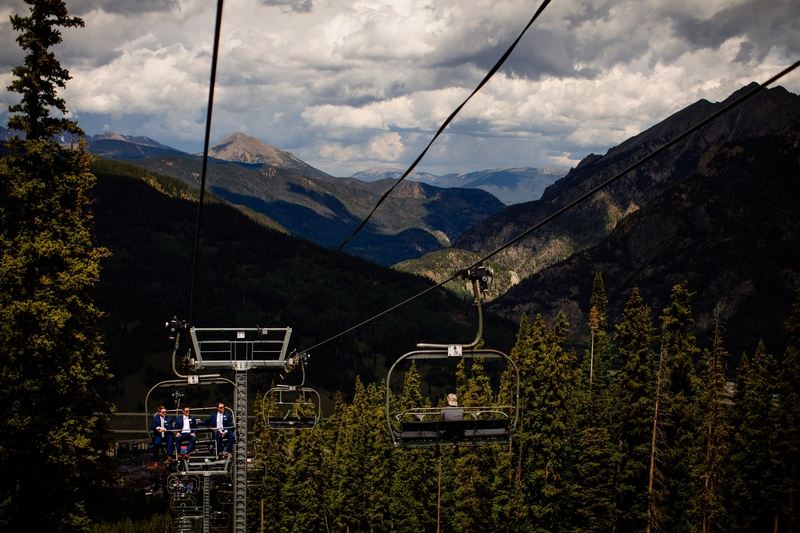 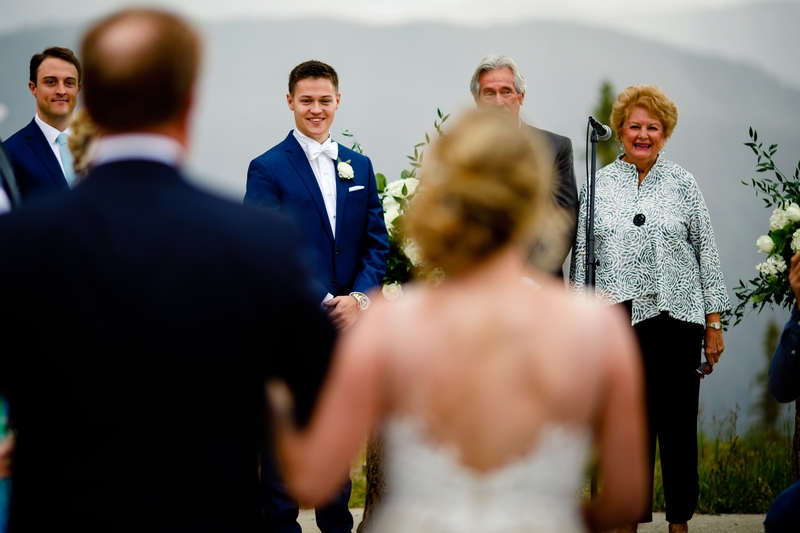 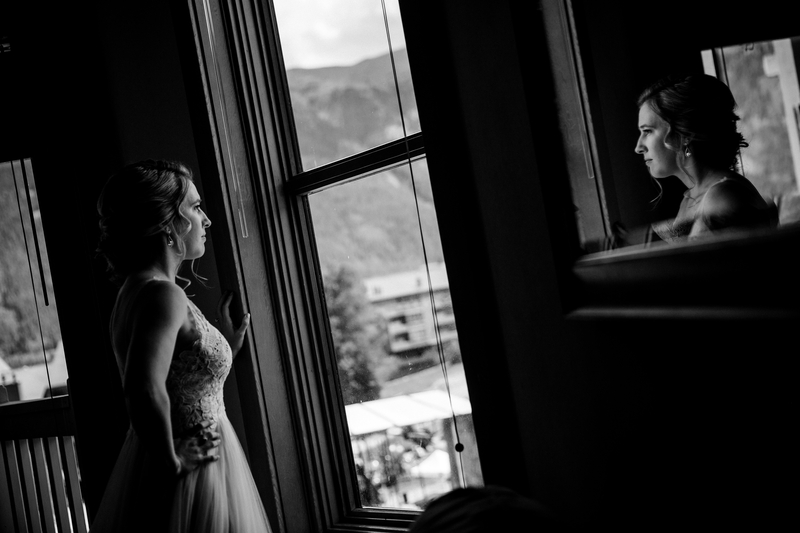 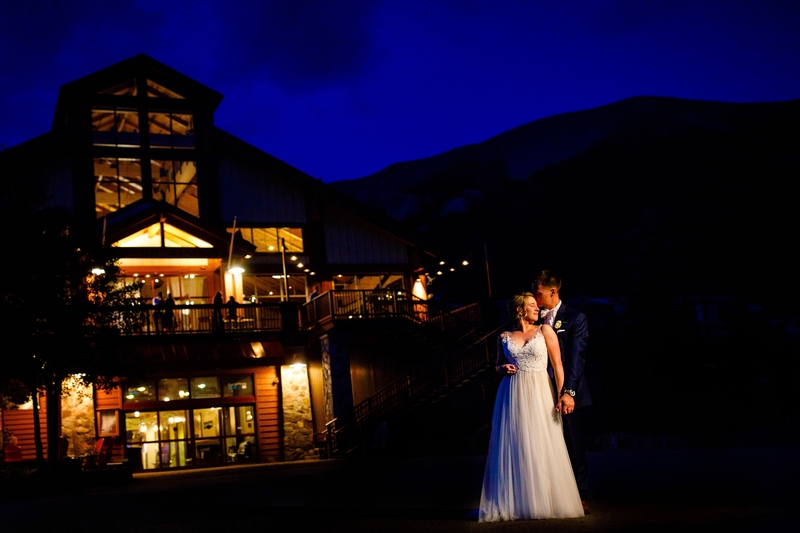 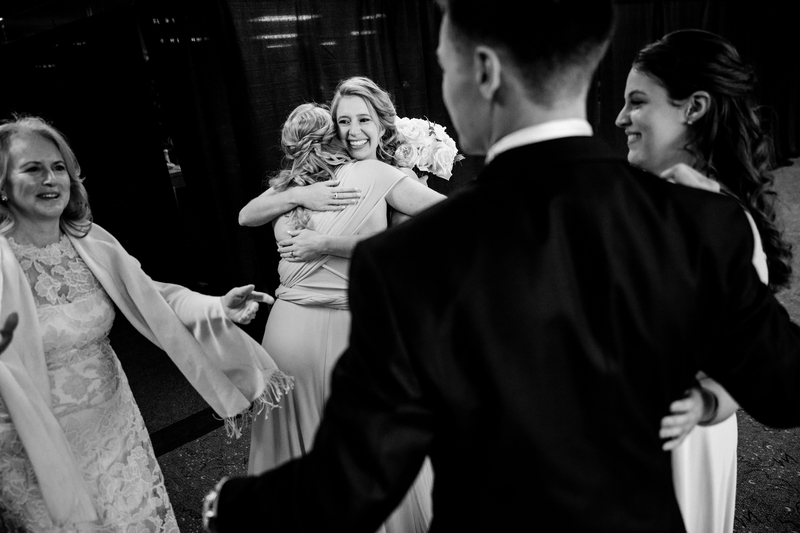 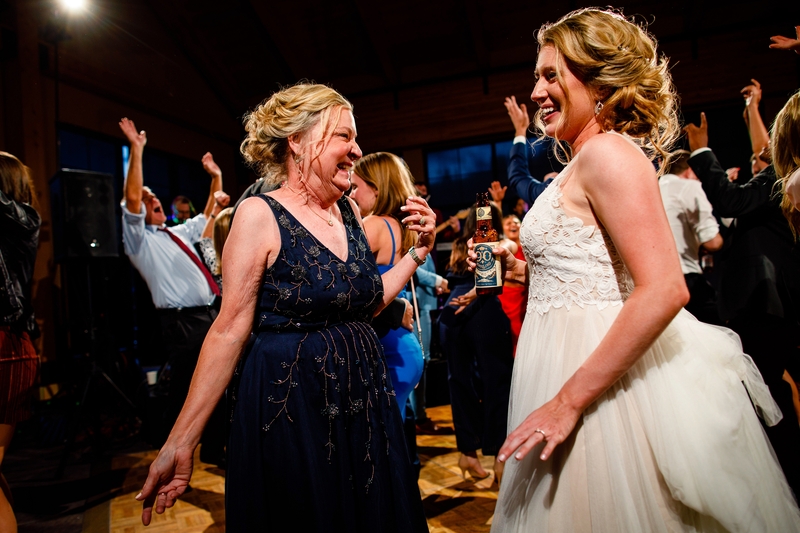 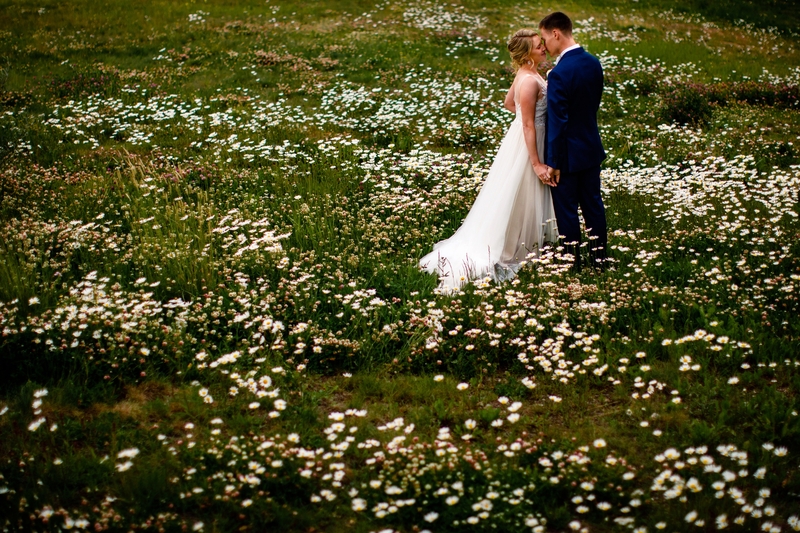 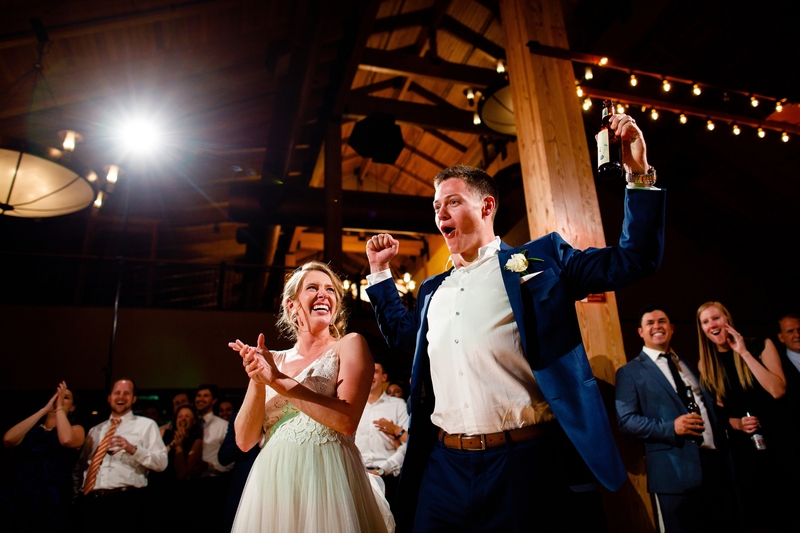 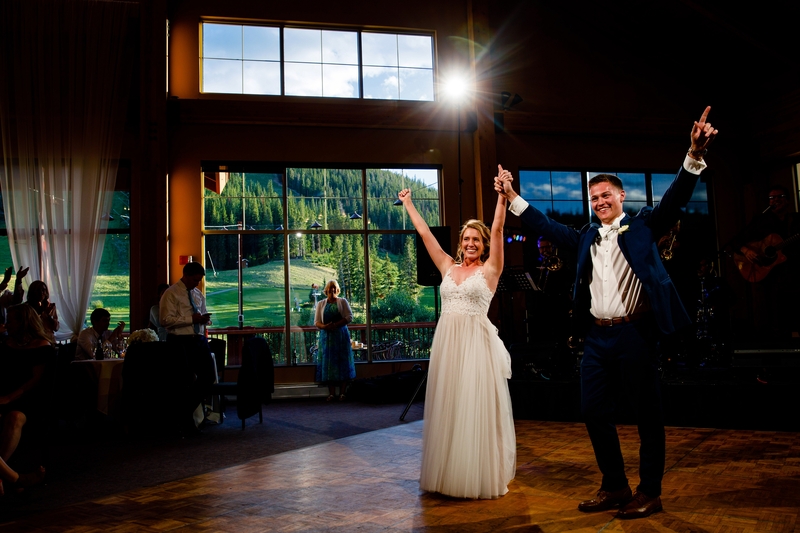 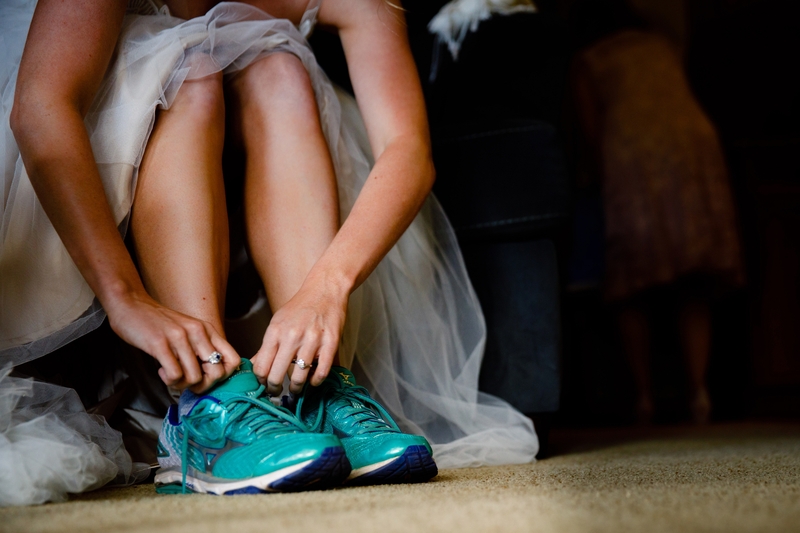 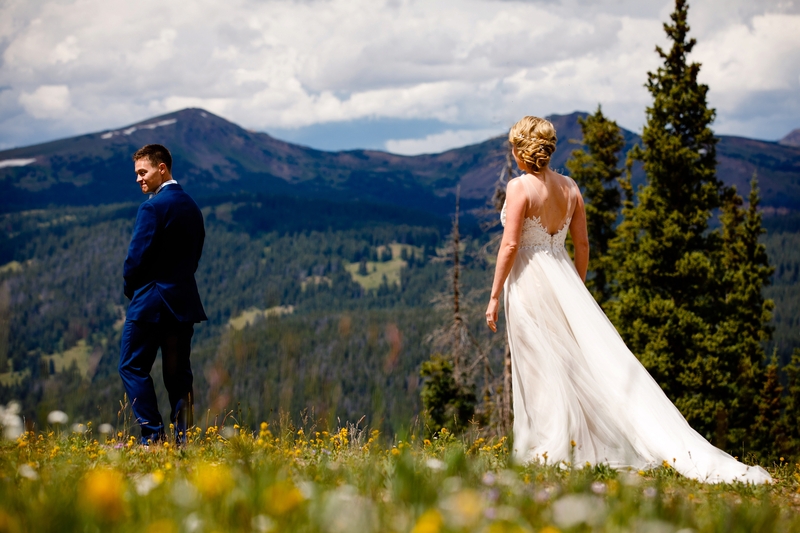 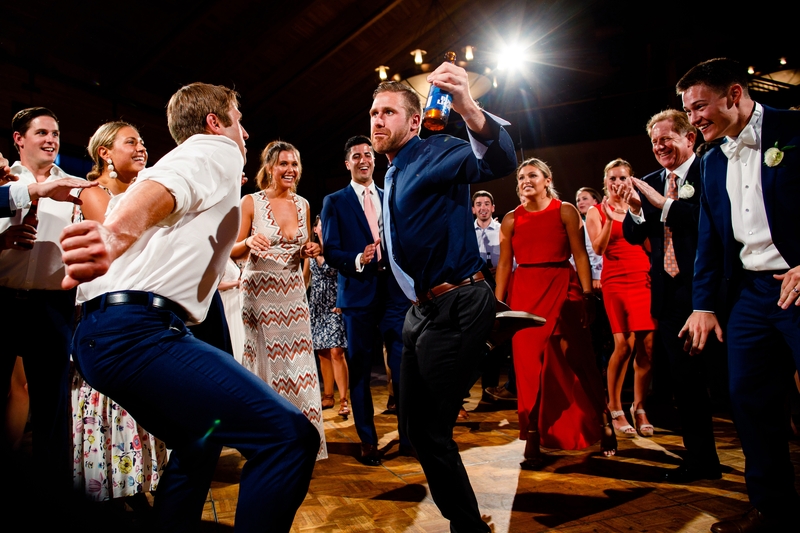 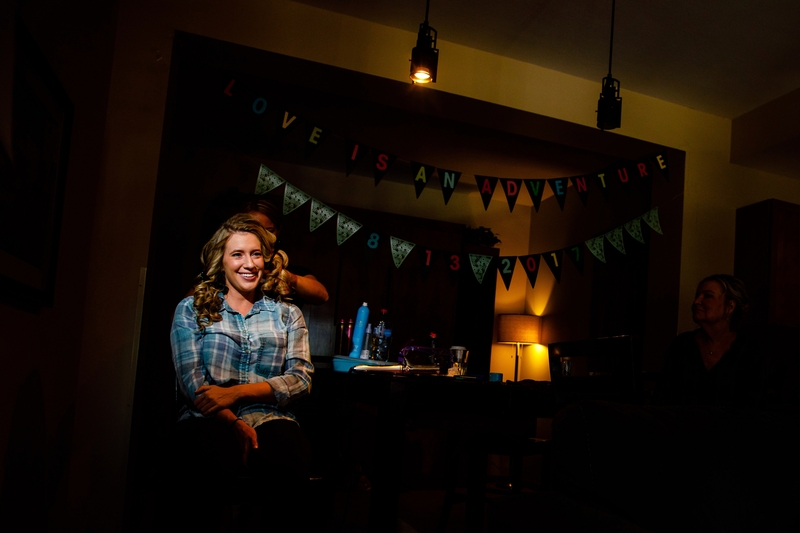 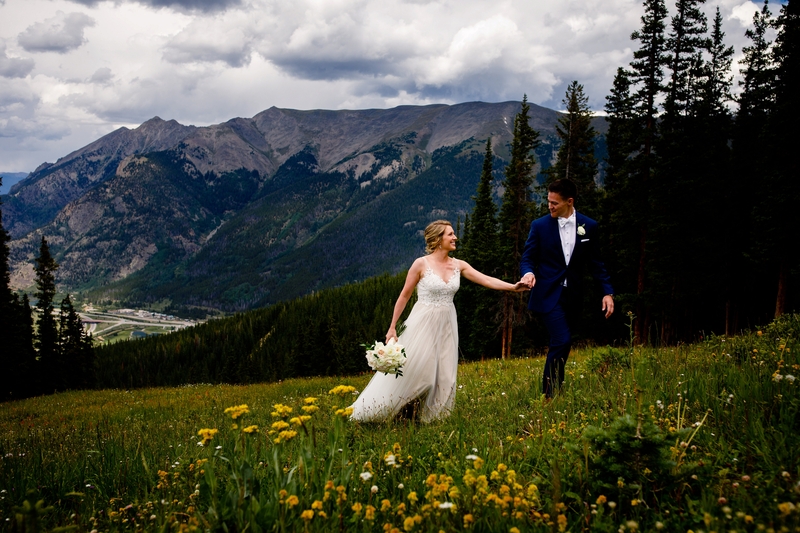 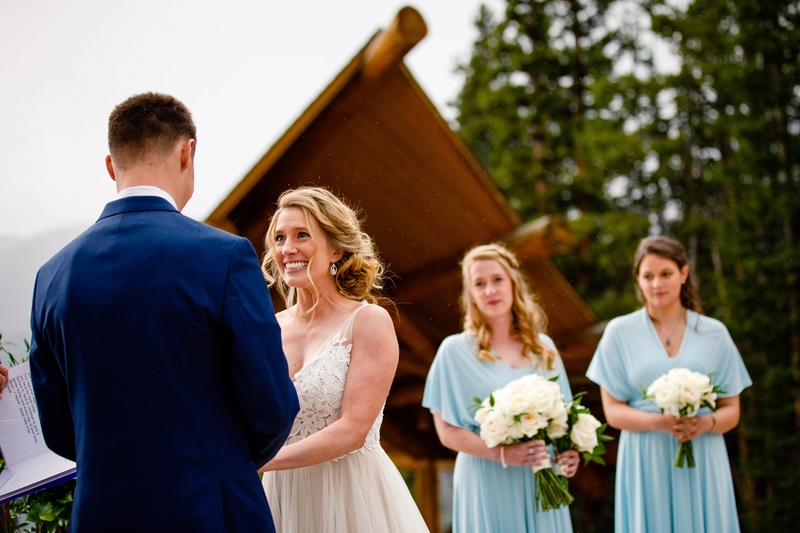 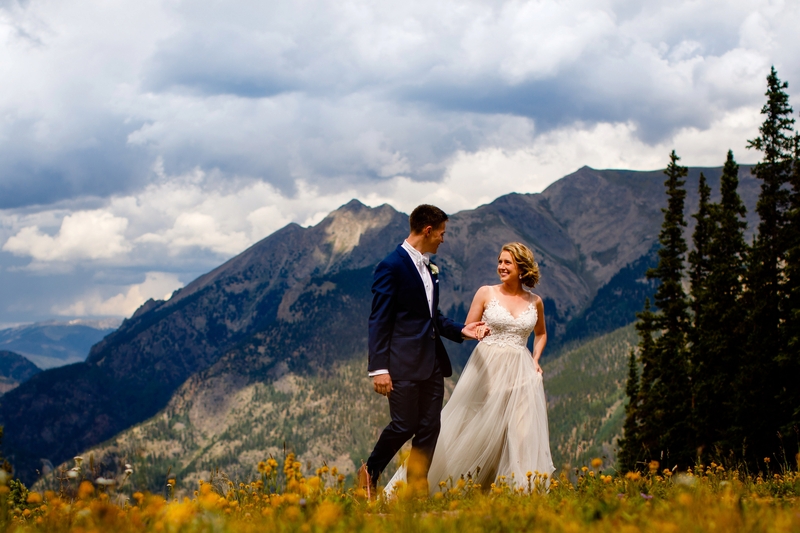 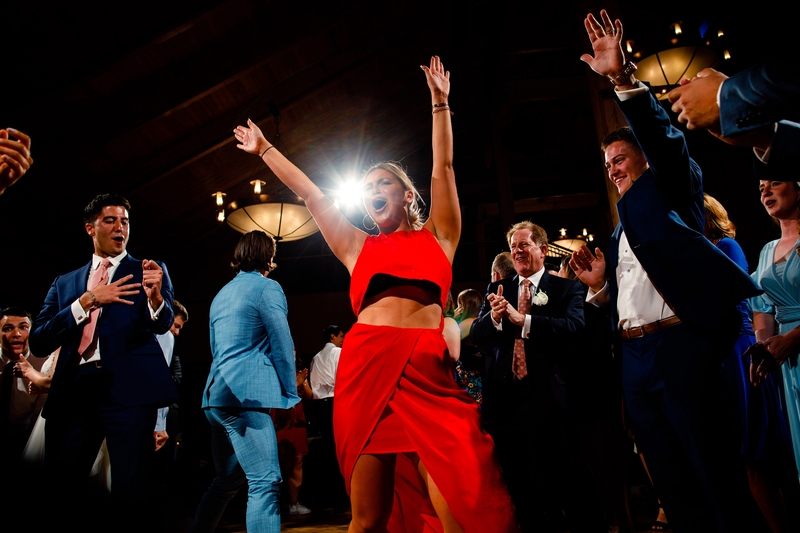 They wanted their wedding to be a reflection of their adventurous spirit, which is why they decided to have a Solitude Station Wedding at Copper Mountain. 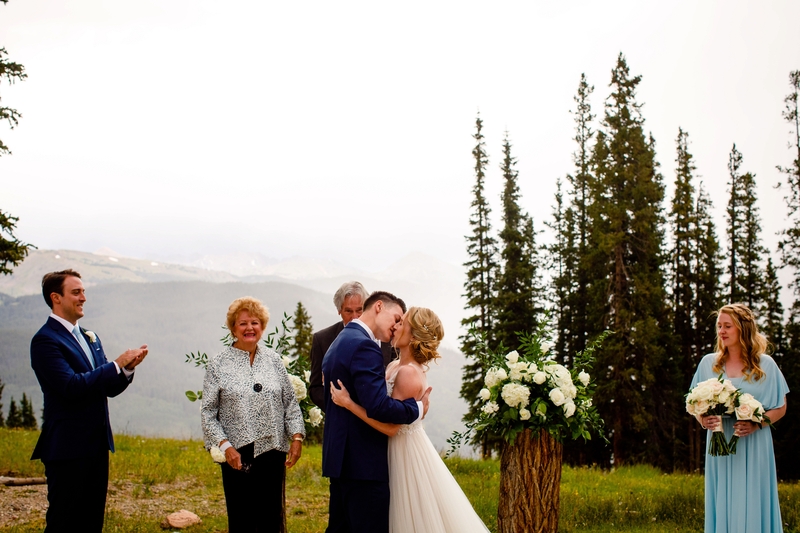 Many of their friends & family traveled from the East Coast, which made it even more sweet. 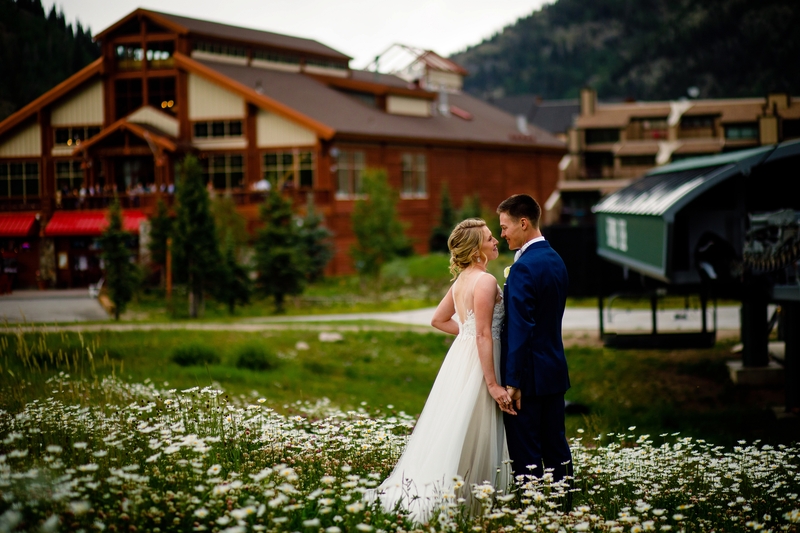 Both Lindsay, Jonny and their siblings spent the morning in the Village at Copper, getting ready for the big day. 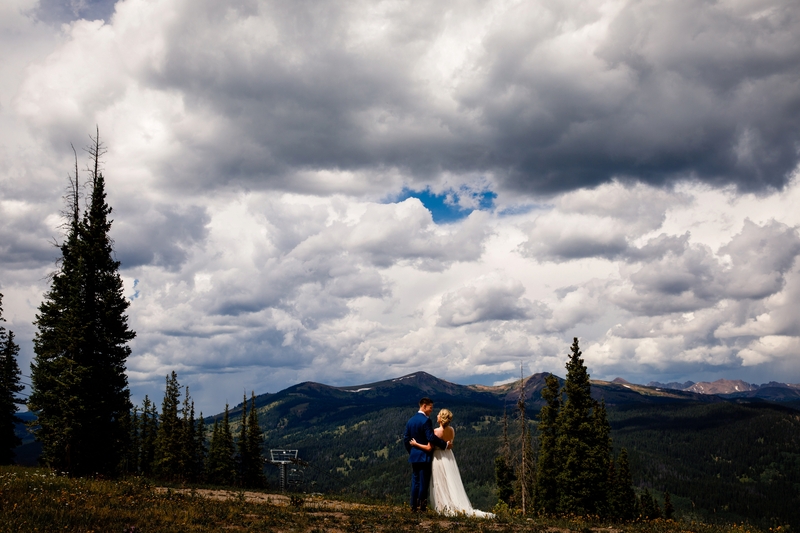 Shortly after prep finished, we got the dreaded phone call that they were shutting the lift down due to lightning. 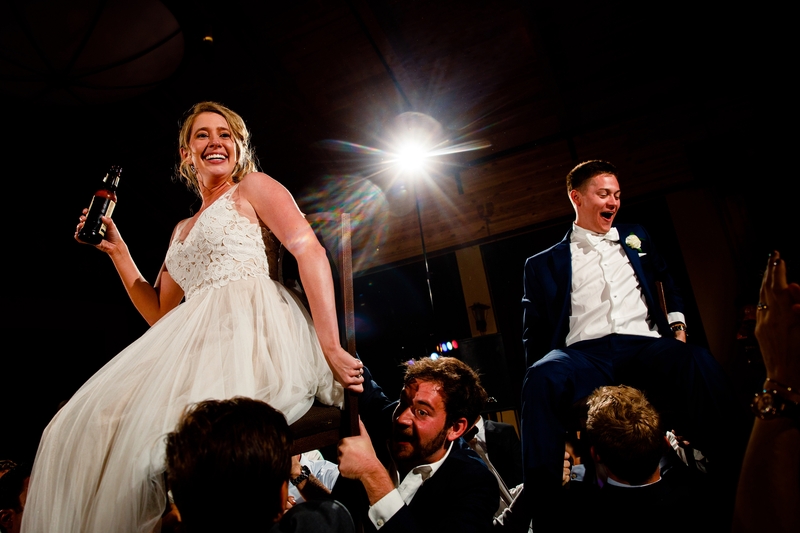 Keeping her faith alive, no backup plans were made, and to the delight of many, the lift opened back up and we made our way up to Solitude Station. 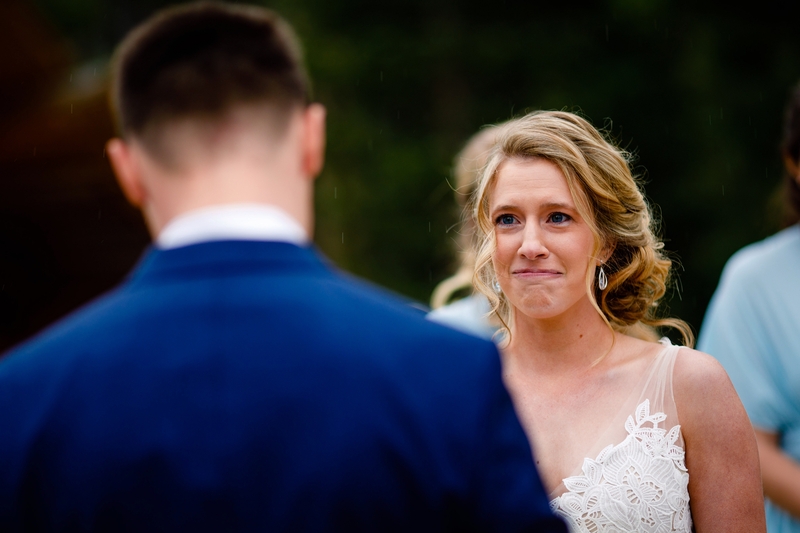 Midway through the ceremony, I got a tap on my shoulder asking if we could shut the ceremony down as the lightning began to crack once again. 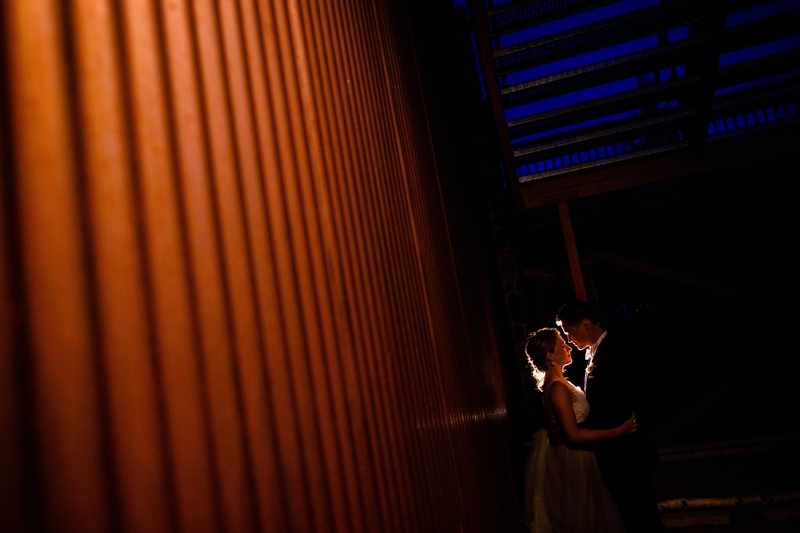 Fortunately, we made it through the ceremony and back inside before it really let loose. 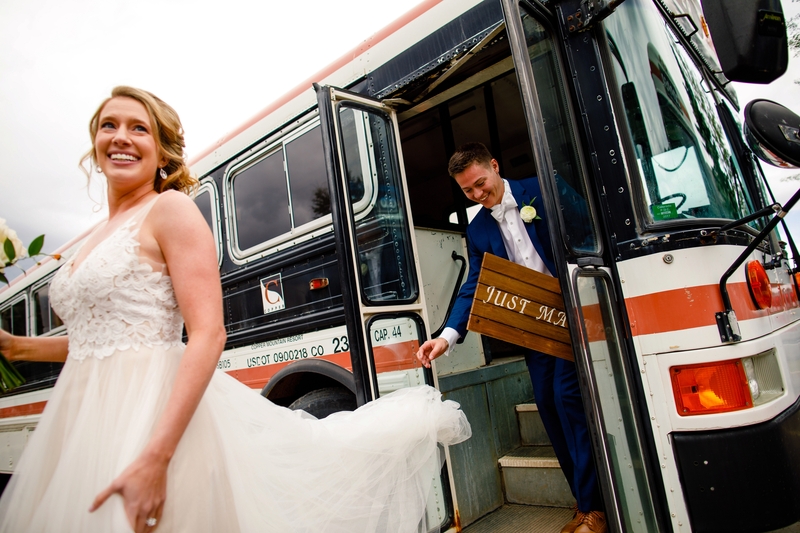 Once the ski patrol was able to round up enough buses for their entire wedding, we shuttled back down to the base. 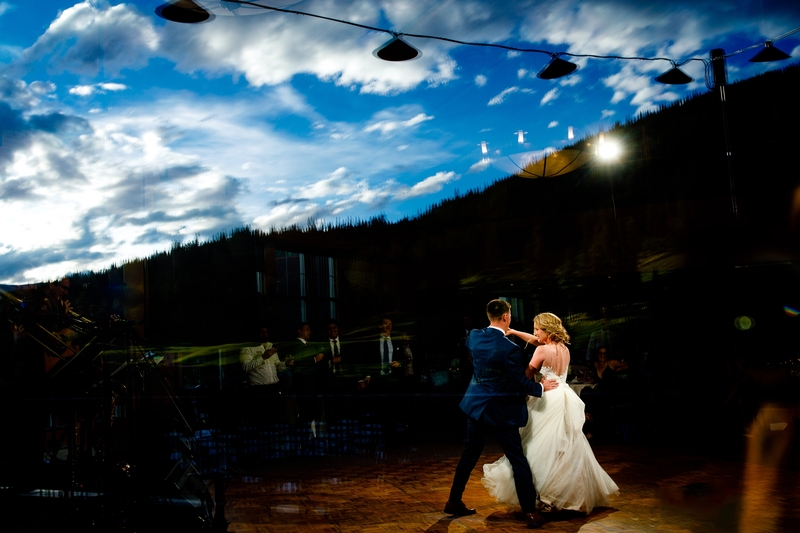 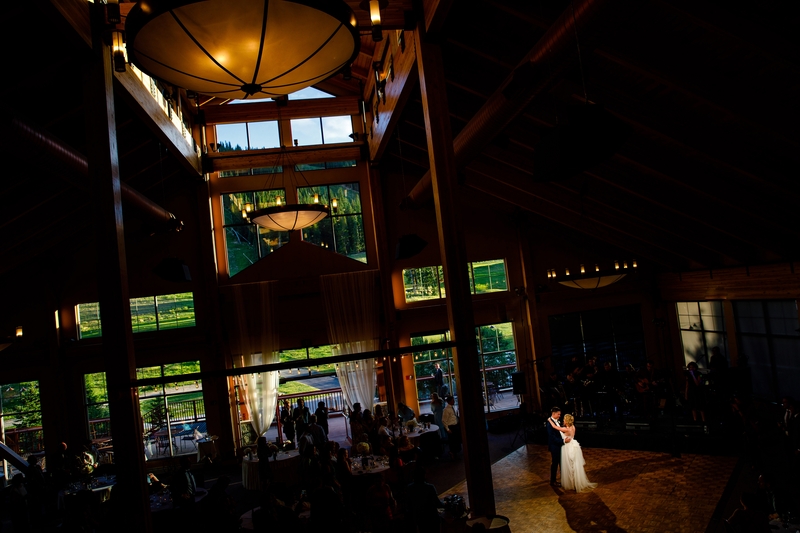 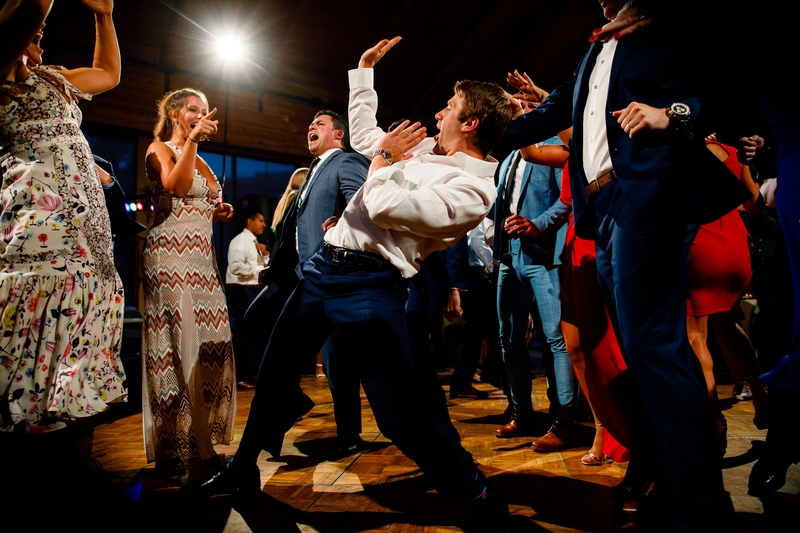 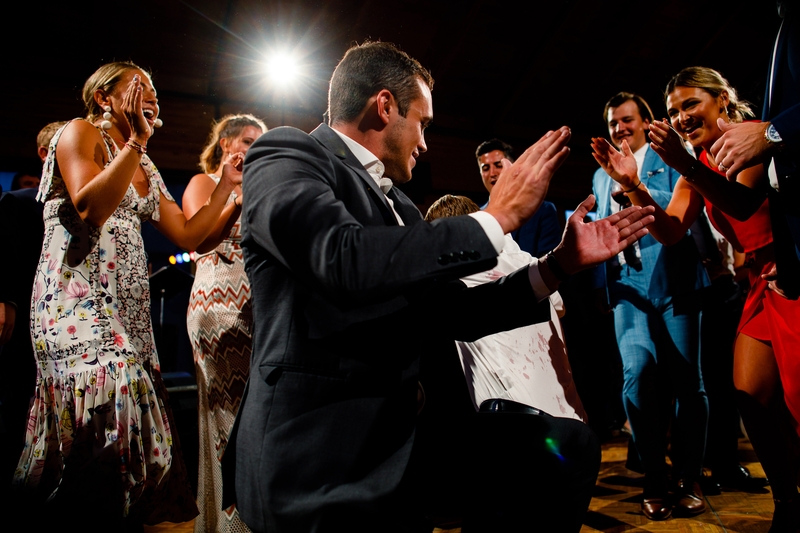 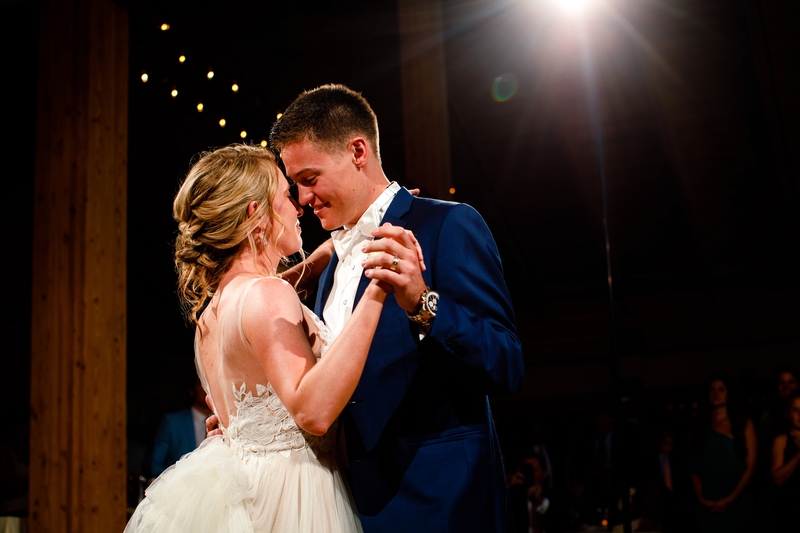 kicked off Jonny & Lindsay’s first dance before sitting down to a delicious plated meal from Copper Mountain Catering. 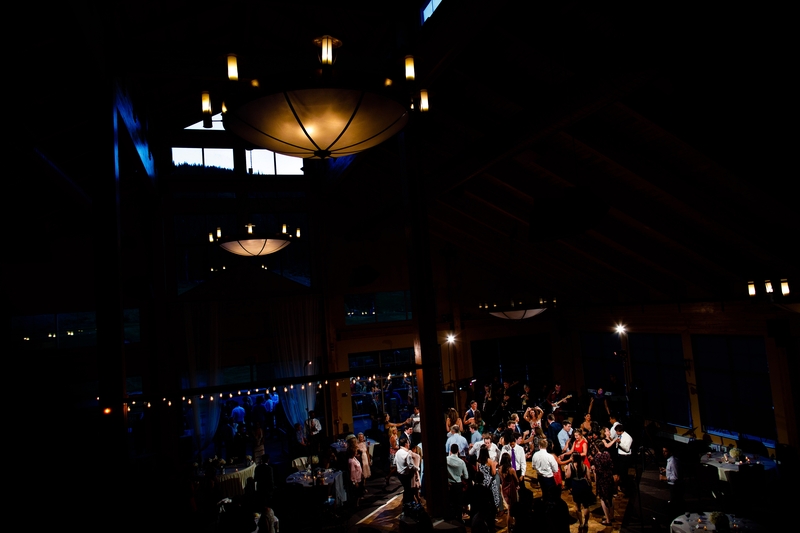 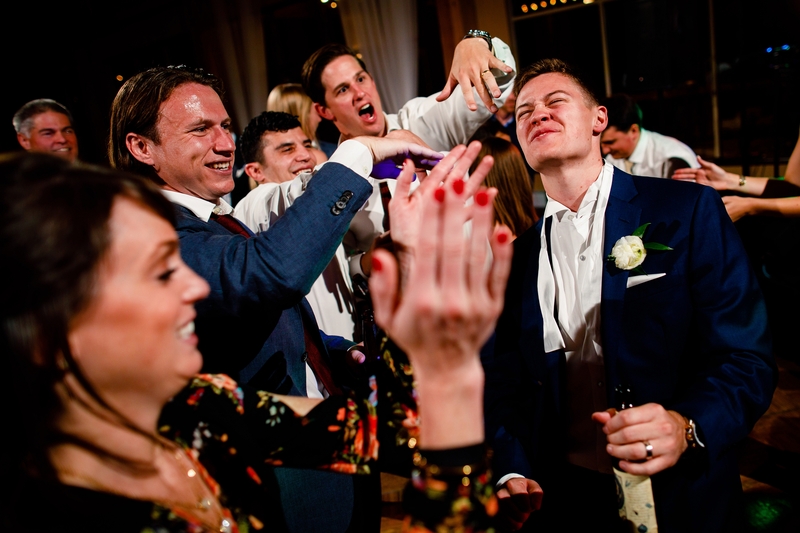 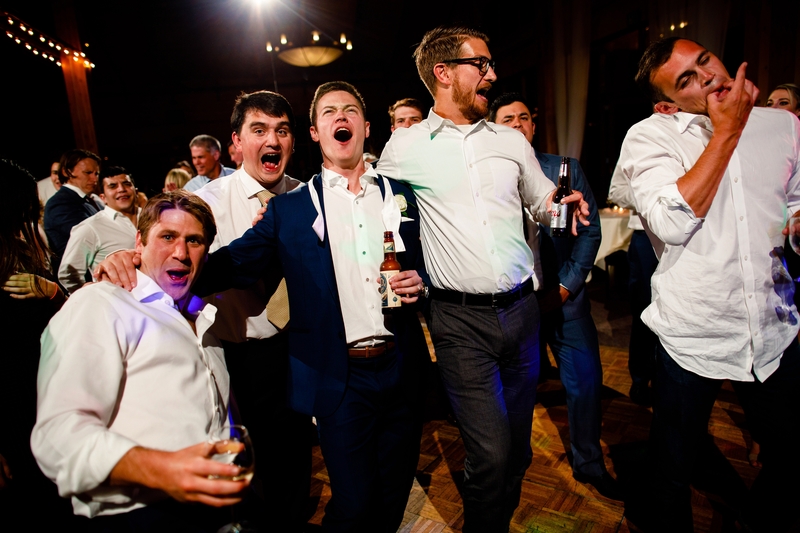 Shortly after dinner was done, the dance floor flooded with their guests and the party began.